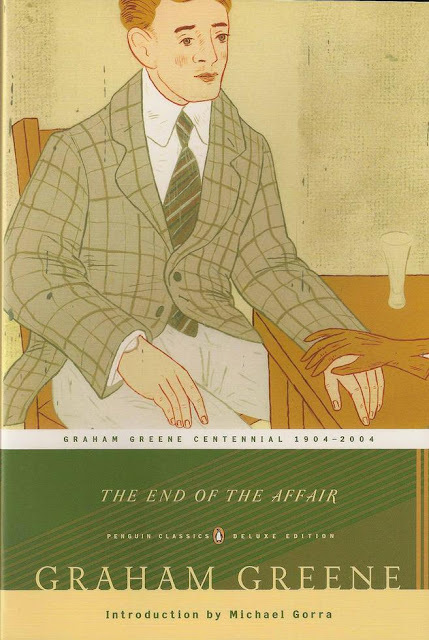 The End of the Affair is a novel about an author's infatuation with a civil servant's wife. The lead character, Maurice Bendrix secretly follows his former mistress during WWII in London, desperately trying to find out why and who she left him for. Definitely not a beach read or a summer romance, Greene examines guilt, love, treachery, misery and religion very intensely. The book doesn't follow a linear sequence, but jumps back and forth between important events in the characters' lives. It has a very strong mystery element interwoven with it as well. Greene never fails to create a gripping read, and the Penguin Deluxe Edition is a great edition, shown above; spine is very flexible, lovely paper. There are two film adaptations of this book (1955 & 1999) but I've yet to see them. Truly a timeless classic. "There are times when a lover longs to be also a father and a brother: he is jealous of the years he hasn't shared" My favorite line. Click here for Penguin's Deluxe Edition on Amazon.